Whoa. It’s been weeks since I blogged. Sorry about that. It’s been a little crazy around here. 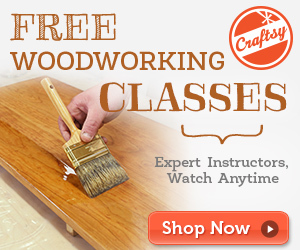 But I’m back now and I’m coming to you with a new DIY woodworking video tutorial series! 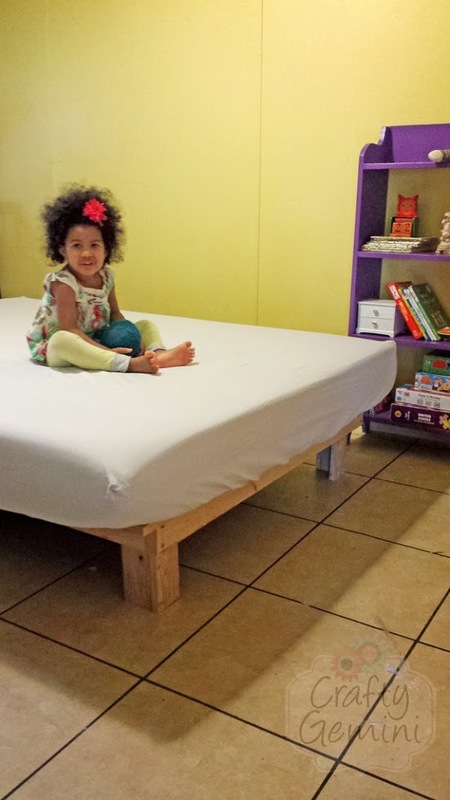 I built this easy and inexpensive queen sized platform bed for my son’s room about three years ago. I’ve since promised my daughter I would also make her one for her 3rd birthday. So, I filmed the step-by-step process in hopes that some of you out there would benefit from it. The plans I used are FREE downloadable PDF plans I found on Instructables.com. The user who posted them is aeray and let me tell you his instructions are super clear! He gives tons of tips and tricks along the way and he designed the project to have very little waste as well. Love it! Click here to download the FREE PDF plans. I haven’t painted the bed yet but I will… eventually. For now it’s ready for Allie’s room. 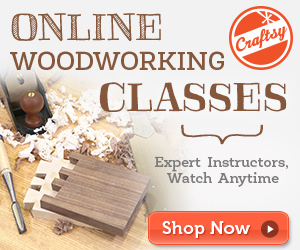 This is an easy beginner project and only requires some basic woodworking supplies. You could even use a hand saw to cut the boards down since they are all just straight cuts. I made this bed to be pretty close to the ground since it’s for my 3 yr old daughter. In case she falls off I don’t want her to have a long way to fall. The original plans call for 21″ long legs which would be great if you want to take advantage of the storage space underneath the bed as well. I cut these legs at just 10″ in length. Allie’s new platform bed with mattress. As you can see the platform bed was designed to be smaller than the queen sized mattress. This was a great move by the designer. There are no exposed corners, legs or edges because the mattress overhangs the base by a good amount on all four sides. 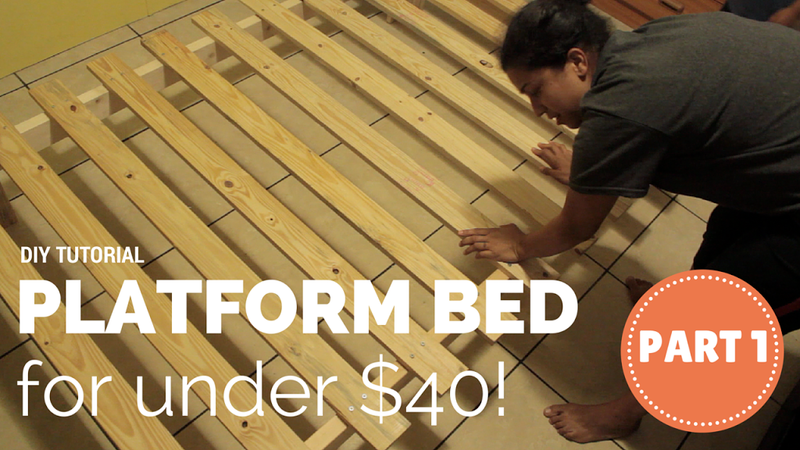 My step-by-step video tutorial covers all the info you need to make a queen sized platform bed. If you need to make it in another size I highly recommend you read through the comments on the original tutorial post and see what others have done to make this bed in all sizes from twin to king. Some people even post their measurements. Very helpful stuff! 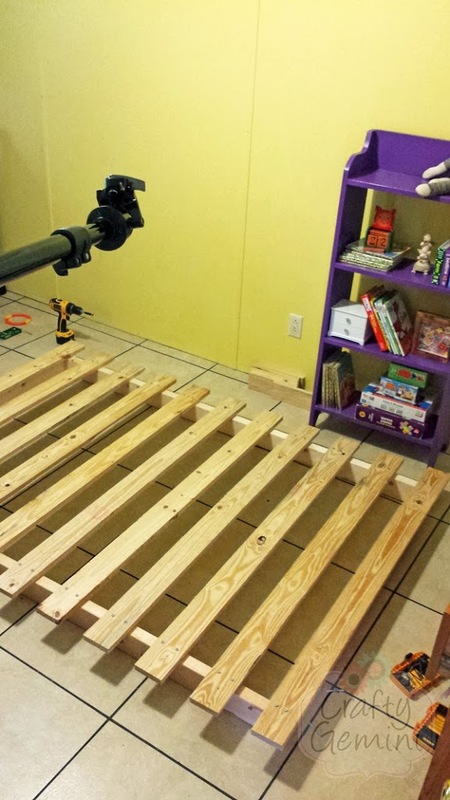 Here is the video playlist on how to make this platform bed. It cost me just under $40 for lumber and screws and I whipped it up in no time. You can do it, too! Give it a go and if you do please post pictures on my Facebook page and/or tag your social media posts with #craftygemini so I can find your post that way as well.